Thirty-eight Harvard Law School student groups signed an open letter calling on the school to continue its support of a pilot federal clerk hiring program. 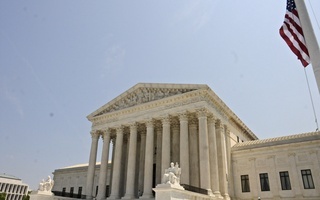 The letter, organized by the Law School’s American Constitution Society chapter, a progressive legal organization, calls on students and faculty to support “the spirit” of the program and refrain from trying to work around its restrictions on hiring clerks before a certain point in their law school career. 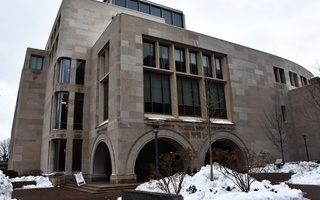 The letter indicated that some second-year law students may have found faculty to recommend them to judges for positions ahead of the new timeline. Starting with students who entered law school in 2017, the program prevents judges of certain federal courts from offering clerkships — prestigious postgraduate opportunities for law students to work for judges — until applicants have completed their second year of legal instruction. Hannah L. Klain, president of Harvard’s American Constitution Society chapter and one of the primary authors of the letter, said the program is important for increasing diversity in the federal courts. Before the pilot hiring program was instituted, applications for clerkships could be sent anytime during a student’s degree, which the letter’s authors argue hindered those from disadvantaged backgrounds. The letter argues the continuation of the program is necessary to equalize the playing field in the clerkship hiring process. There are still a number of federal circuits that have not signed up for the program. “In the interest of creating a more diverse class of clerks, it is imperative that the two-year Pilot is successful,” the letter reads. “The success and expansion of the Plan are the necessary first steps in addressing systemic inequities in access to clerkship opportunities. Klain said she believes that having the support of Harvard is crucial to ensuring the program is continued. “Harvard is a really big piece of the puzzle, because it just a huge part of the market,” Klain said. Klain reiterated the letter’s call for an open a dialogue with administrators about the Law School’s support for the program. “We want to talk to the administration about how to keep this program on track,” Klain said. Law School spokesperson Melodie Jackson reiterated the administration’s backing of the program in an emailed statement. “HLS is a strong supporter of the clerk hiring pilot” Jackson wrote. Jackson also pointed to a letter Law School Dean John F. Manning ’82 sent to students supporting the program last spring. 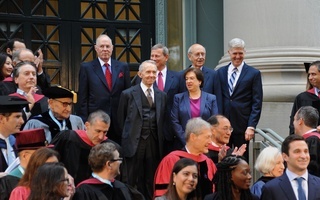 “In consultations with the HLS faculty, I have heard strong sentiment for the proposition that if we can help judges succeed in bringing greater order to the process and moving it to a time that will better serve judges and students, we should make every effort to do so,” Manning wrote.